Citroën has just completed an important van and car fleet deal with Leatherhead-based Logistics International plc and its subsidiary Wildfield Ltd. Trade Plan Insurance look into the fleet deal in detail. Logistics International Plc, a specialist IT engineering service company, has refreshed part of its fleet with 43 new Citroën vehicles. The company’s new Citroëns will be used by its IT software engineers, who provide its blue chip customer base with skilled, specialist support across the UK. Logistics International received 26 Berlingo HDi 75 manual L1 625 Enterprise vans and 17 Citroën cars, including 15 Berlingo Multispace Plus Special Edition HDi 90 manuals, a DS4 DStyle HDi 110 6-speed manual and a C4 VTR+ HDi 90 manual. The new Citroën bring the company’s fleet in line with a single manufacturer, said George Kyle, Fleet Manager at Logistics International. “Our new Citroën replace a mixed fleet with a single make. 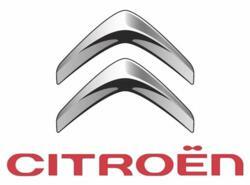 We already run some Citroën and, in acquiring these latest vehicles, we have enjoyed an excellent level of service from the Citroën Slough Business Centre, both in achieving the correct vehicle specification for each user and in selecting the right contract hire deal through Citroën Contract Motoring. Since these new Citroën cars and vans have entered service, our engineers have been very impressed with their new vehicles,” said George Kyle. For those who are taking out a motor fleet insurance policy for the first time, you can get plenty of advice from insurance brokers. No matter what kind of vehicle fleet you have, there are some guidelines to think about, when you are selecting the proper insurance cover to protect your assets. The Plan Insurance team can help by assessing your history and finding the best to suit your needs. If involved in the motor a motor trade insurance may be what you require.